Those of you who are unaware of what Siri is, then allow me to enlighten you. Fashion victims such as myself who have spent a disproportionate amount of money to acquire the latest iPhone, instead of opting for an alternative cheaper model that works just as well, if not better, don’t want to be told this. It’s made by Apple so it has to be the best. So you can imagine our joy at discovering the one feature that surely must be the stand out technology; something that could quite possibly make our lives complete. Yes, if you push and hold the big round button on an iPhone… wait for it… It talks! 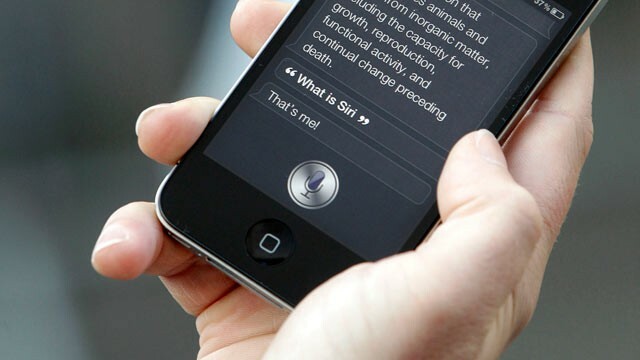 Siri doesn’t just waffle nonsense, like Twiki from the old Buck Rogers movies. No, Siri actually asks: ‘What can I help you with?’ This got me thinking. Just how useful can Siri be? What questions will it be able to answer? What follows are a list of questions that I just had to ask. I’m your assistant. And your friend, too. Ah, that’s sweet. Good start. Very butch voice though, for a name like Siri. I thought it would be feminine. Let’s see how playful it is. Right… Is humus dirty? And hummus has two ‘m’s doesn’t it? Well, three out of four isn’t bad I guess. Very drole. Siri, who let the dogs out? Brilliant. I’ve just had the chorus of a Baha Men song sung to me in a robot voice. Classic. Enough tomfoolery. Time to get deep and meaningful. No help there Siri. Is there a devil? I can only look for businesses in the United States. Huh?! 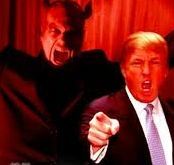 Does the devil live in the United States? Siri displayed several websites via a Google search. A quick browse, shows that the devil apparently lives in Las Vegas. Fair enough. Maybe in the Trump Hotel? Life: a principle or force that is considered to underly the distinctive quality of animate beings. I guess that includes me. Wow! That’s deep Siri. But you’re not an animate being, are you? Well then, why the hell did you say ‘me’, instead of ‘you’? Is this our first argument? What? I don’t have an event! I don’t understand. When is your event? I too have Siri, Stewie. I usually use it to dictate text messages, notes and email, a task which often brings results as random as picking something out of a hat. Emboldened by your attempt to ask Siri some serious questions, I decided to give it a go myself and use some of your questions above. Here’s how my Siri responded. Do you like me? I’m your assistant. And your friend, too. We’re tallying here so far. Talk dirty to me. I can’t. I’m as clean as the driven snow. I really didn’t think that one would work! And this is where you turn your face towards the sun, look up to the heavens and sigh in contentment, knowing that all is right with the world. I think I could get used to this game!